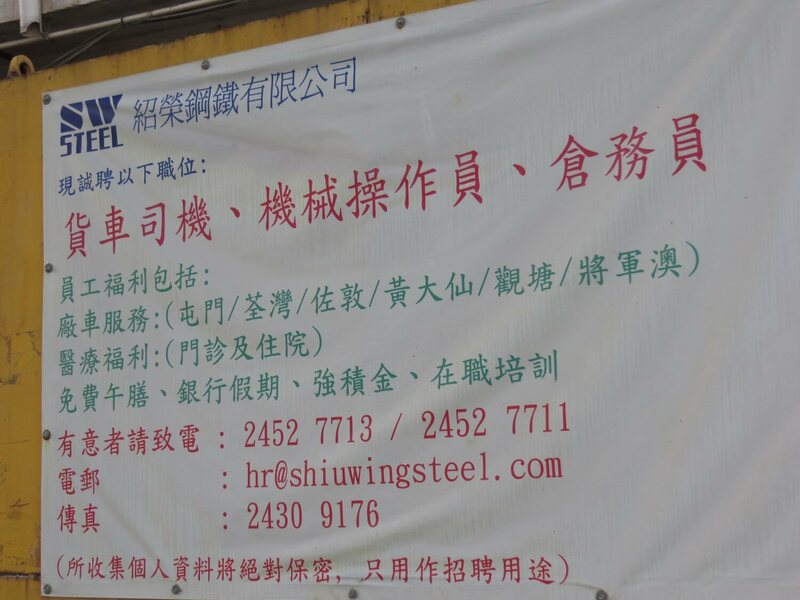 HF: Shiu Wing Steel Ltd is the only steel rolling mill currently in Hong Kong and is located at Tap Shek Kok, Tuen Mun. 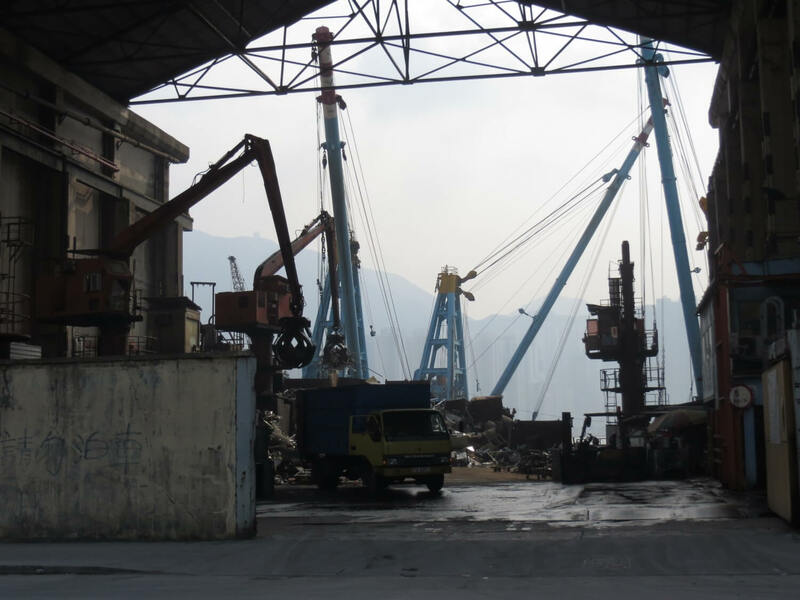 It operates a scrap collection yard at 18 Tung Yuen Street, Yau Tong at which the scrap is loaded onto lighters. 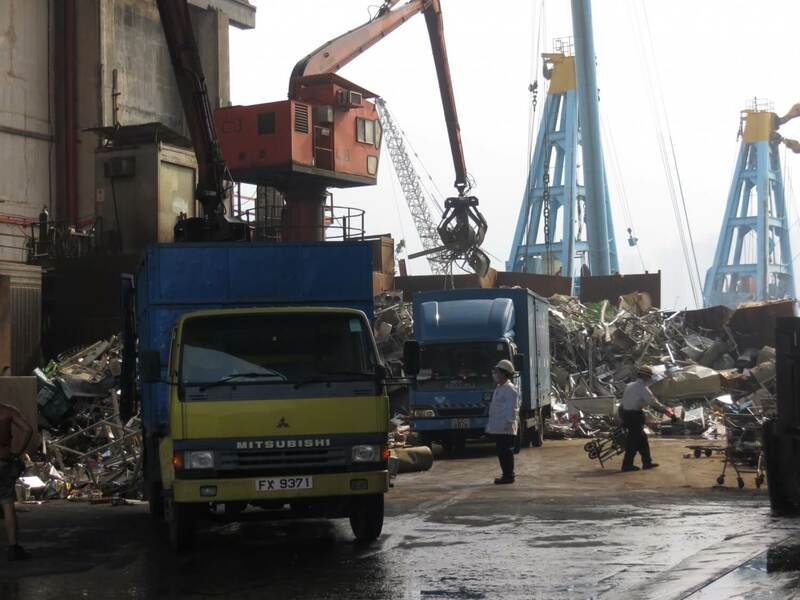 I presume these are then towed to its mill in Tuen Mun. Can anyone confirm this? 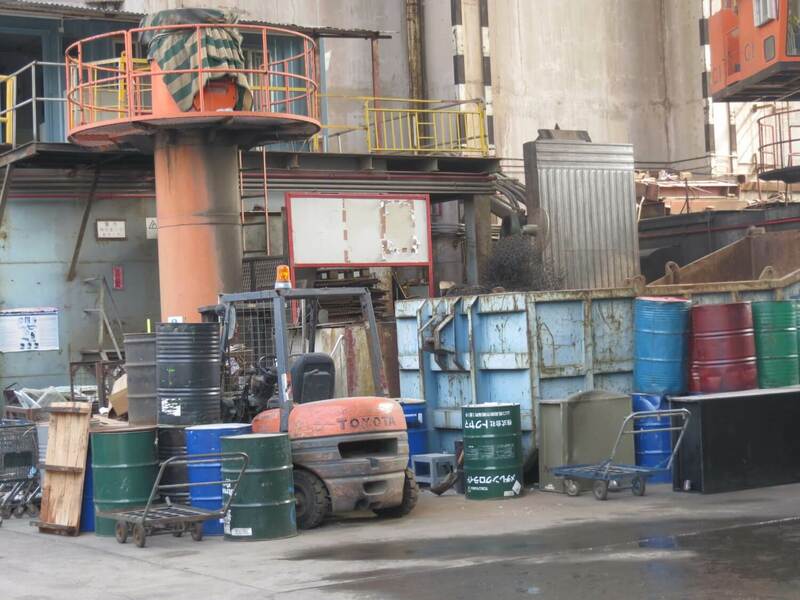 I took these photos of the godown on 25th September 2014. I was standing outside the 10 metre open entrance. I was not able to enter because within a minute of taking my camera out a worker ran towards me and politely and in excellent English directed my attention to a very small postcard sized notice that stated, No Photographs. 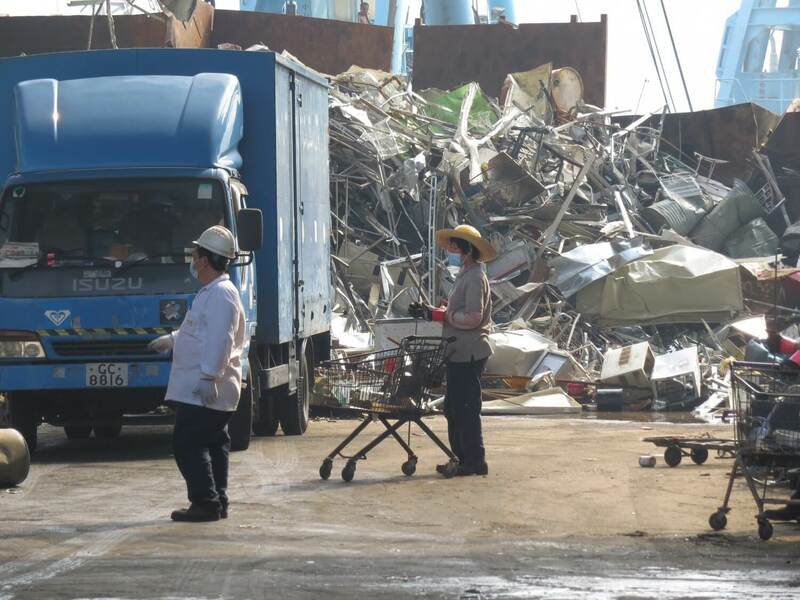 I can’t imagine too many people would be interested in recording scrap being loaded onto barges but if this suddenly becomes a fad maybe Shui Wing might consider substituting the postcard with prison like gates! 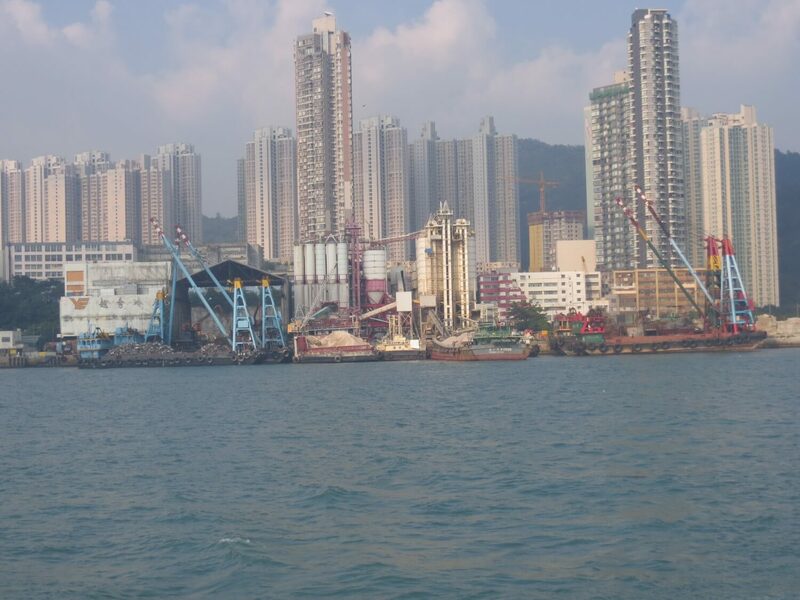 The last photo was taken from the Sam Ka Tsuen to Sai Wan Ho ferry. 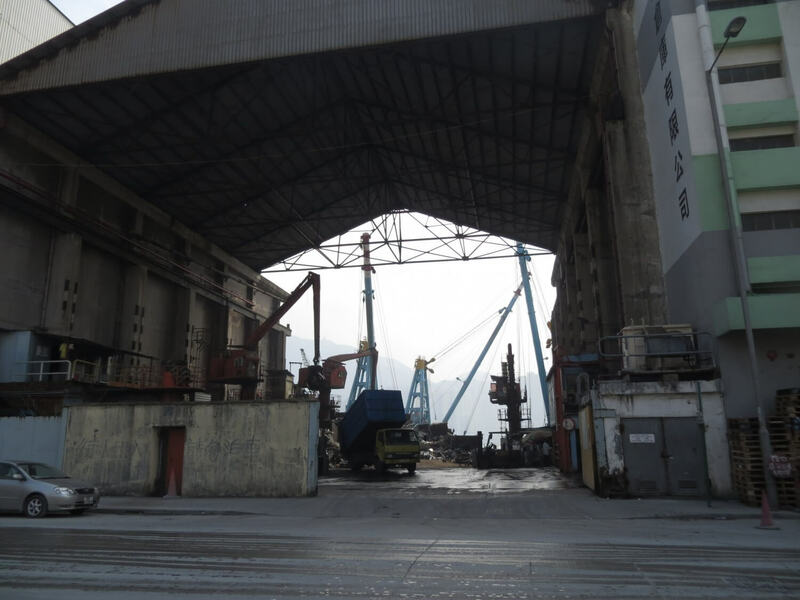 The scrap godown is the tall, open structure with the pointed roof and two blue scrap barges moored in front. 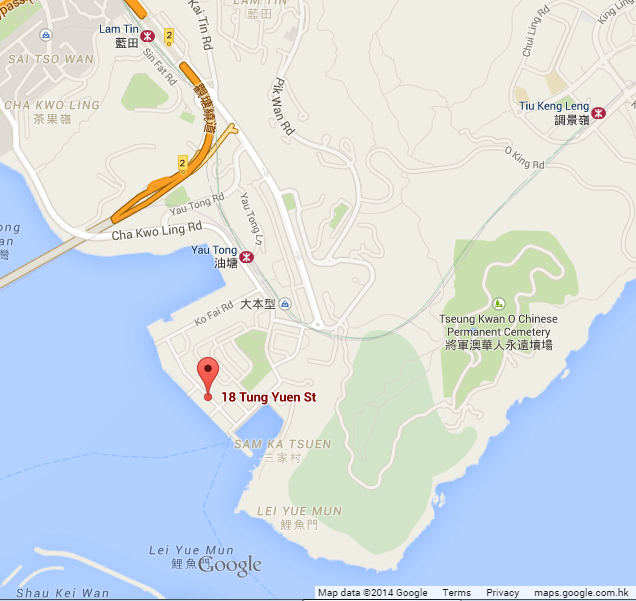 I took the other photos from Tung Yuen Street which runs parallel to the coastline on the far side of the godown. This article was first posted on 16th October 2014.